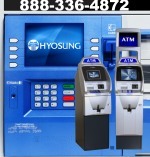 Nautilus-Hyosung manufactures outdoor ATM products for banks and financial institutions. The Monimax 5100T is an affordable bank style machine made for any business requiring an in wall installation. It can be installed as a walkup configuration or as a drive-through, maximizing the potential of the Monimax 5100T. 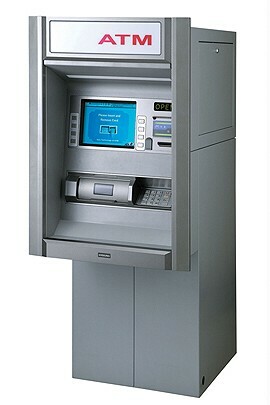 Nautilus-Hyosung offers the buyer a solid weatherized quality built ATM with durable construction. Its compact design allows a greater range of in wall, or ATM kiosk mounting. The Monimax 5100T is equipped with A UL291 business hours vault with a quality standard mechanical safe lock. An electronic lock is an upgrade option. The ATM is made with a heavy duty metal surround. The mounting pedestal and retaining framed brackets provide a stable secure mounting for in wall or ATM kiosk installations. The cash dispenser unit holds 2000 notes. ATM maintenance from the rear of the cash machine. 10.4" color TFT LCD monitor screen has a sun viewable option monitor available that may be useful in full sun situations.